One of my biggest challenges has been how to handle the toddlers and infants well when trying to “do school” with the olders. Here are several ideas to rise to the challenge! This year our homeschool has underwent a huge change. There are no longer any babies. The little kids are both preschoolers now! Naps and quiet time where I can focus just on the bigger kids is rare. Instead, there are loud games of pretend play while I’m right in the middle of lesson times with the older kids. There are pleas for their own “schoolwork” and crafts, multiple calls of boredom, a big need for snacks and a willingness to participate in all the older children’s work when they are able (and sometimes when they’re not). Homeschooling with toddlers is not easy! It’s frustrating and tiring to continually have interruptions and chaos and noise while you’re trying to homeschool. But, it’s a good life, and it can work and work well. Here are some of my best ideas and resources that have helped me homeschool these last 13 years–and I’ve never homeschooled without toddlers! Now, I will be the first to admit that there are days when it is incredibly hard to get a lot accomplished. After all, youngsters can be a little demanding for your attention at times! But, there are some tips for getting it done which may also let you keep your sanity in the process. But, the following is a little more realistic look at what life looked like for us in those days. 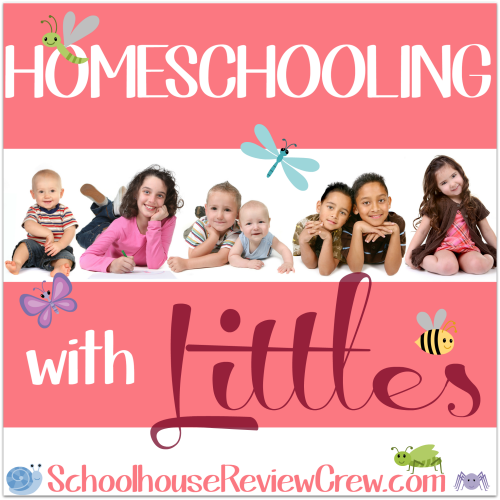 Crystal @ Crystal Starr Blog — Homeschooling With a Baby! My family was blessed to welcome a precious baby into our family just 7 weeks ago. Ever since life has been a whirlwind.